Charlie made tremendous progress in only two months! He was a college student from Boulder, CO and was only back in town for the summer. As you can see, when he worked with Ken, he lost weight, put on muscle mass and was able to reduce his body fat percentage in only 60 days! 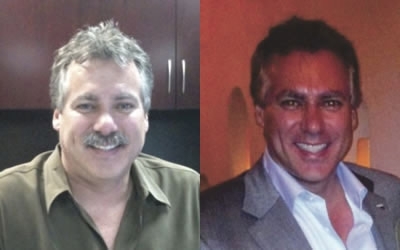 Paul was Ken's very first client and Ken still works with him today. 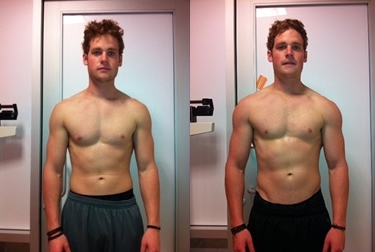 Paul's goal was to tighten his mid section, increase his strength, broaden his shoulders, build more muscle mass and lift his chest. He is over forty years old now benching 315 pounds. They have made great progress over the years, no question! Leah has been working with Ken for over two years. Leah admitted to Ken during their first meeting that she had 'let herself go.' Her bad eating habits needed a complete overhaul. After food-logs, weight training and a strict cardio program on the days Ken did not work with her, Leah's body started to transform into a new, much happier, self confident young lady. 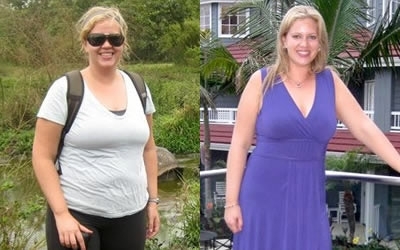 Her dedication, positive attitude and hard work both in and out of the gym has helped her lose over 65 pounds, all while attending graduate school to become a veterinarian. Leah continues to train with Ken on average, three to four times per week. Her family and friends didn't recognize her when she went back home to New York for the holidays. Leah's mom told Ken, "You changed my daughter's life." David approached Ken after a doctor reported he suffered from high cholesterol, related to his weight. After working with Ken for nearly 12 months, David no longer has high cholesterol and has lost a tremendous amount of weight. His strength, energy, flexibility and self-confidence continue to improve. David's motivation, dedication and drive has resulted in his happier, healthier lifestyle. 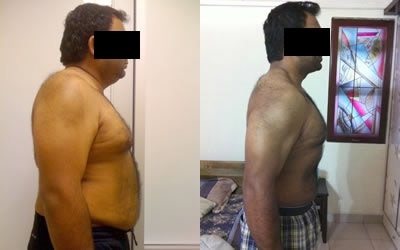 After working with Ken at least four to five times per week, and committing to changing his everyday lifestyle, Bharath has lost over 50 pounds and has now alleviated his health concerns. Bharath and Ken also are working together to promote the availability of British Nutritions, to aid clients in reaching their fitness goals. Chris has always been a very hard working client. He was once only 164 pounds, but under Ken's mentorship, Chris reached his goals to bulk up, fill out, and put on more muscle mass. He has seen improvements in his strength, endurance, and energy levels throughout the day. 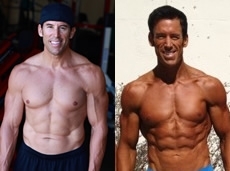 Like Ken, Joe is not only a personal trainer himself, but a 'Men's Physique' competitor. Not knowing what to do, what to eat and how to pose, Joe worked with Ken to help better prepare himself before he stepped on stage in March, 2012. Very educated with diet, supplementation and different training techniques, Ken structured a very strict workout and cardio program that helped Joe win a 5th place trophy at his first competition and a 3rd place trophy at his second. 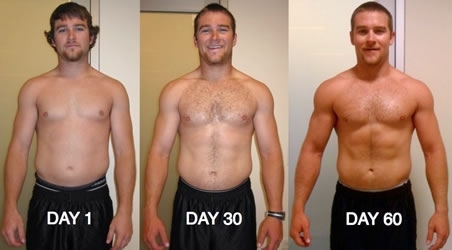 The dedication and discipline Joe demonstrated when working with Ken helped Joe reach his goals to reduce his mid section. Thanks to the hard work, assistance and guidance Ken provided, Joe now has greater self confidence after transforming his body into a new, much improved physique.